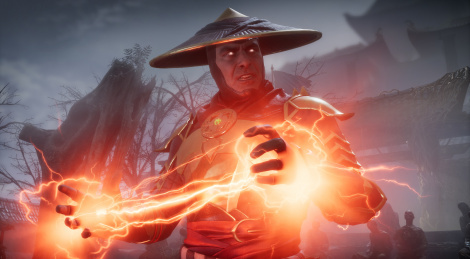 Mortal Kombat 11 was announced during The Game Awards, here is the first trailer and a couple of screens. The fighting game from Warner Bros. and NetherRealm will launch April 23rd. The worst possible music choice ever. :-D But can't wait for the game. Yeah, I hated the music as soon as it started and kept wondering why in the hell didn't they use orchestral music or just one of the theme songs from past games - hell even the movies theme song would have been far, far much better and would also give that nostalgia kick as well. Music choices aside, NetherRealm are masters and I'm sure MK11 will be another great Fighting game. They've been honing their talents game after game and I'm very excited to see what they do after Injustice 2's brilliant Story mode. That's exactly how I rap when I get ready for work. The only thing there is a high pitched voice repeating every verse after I say them. Jeah. Why does we not get physics based fighting games? Fighting games still feel stuck in the 90s. That would be great. Not sure, if we will ever see it. Animations and responsiveness are the two main reasons, and also the main reason why we don't see fighting games that have poly counts on characters that exceed most games, like they used to when they first went 3d. It'd be nice to see physics interactions with the backgrounds, though. Interesting to see that the chain from Scorpion is now made from actual 3d links. At least I am assuming that that is a screenshot. It's probably due to Unreal Engine 4 instead of 3 from the last game. Graphics look better to say the least. Couldn't you apply that to, like, every game ever made? I mean, the amount of times a Thwomp got me in Mario. I tell ye what. What's silly is that despite how unbelievable it is fighters still make their rosters conform to some stupid plot. Rumors are this game will forgo some popular characters because their "stories are over". I'm not really a Netherrealms fan, but I'm still looking forward to seeing more. maybe, but it's far more frivolous to MK as a "story". all of the moves are supposed to be "final", no returns. can't return from disintegration. yet all of them return in the story. of course it's primarily a fighting game. imo, the Gaming logic is strong with this one.